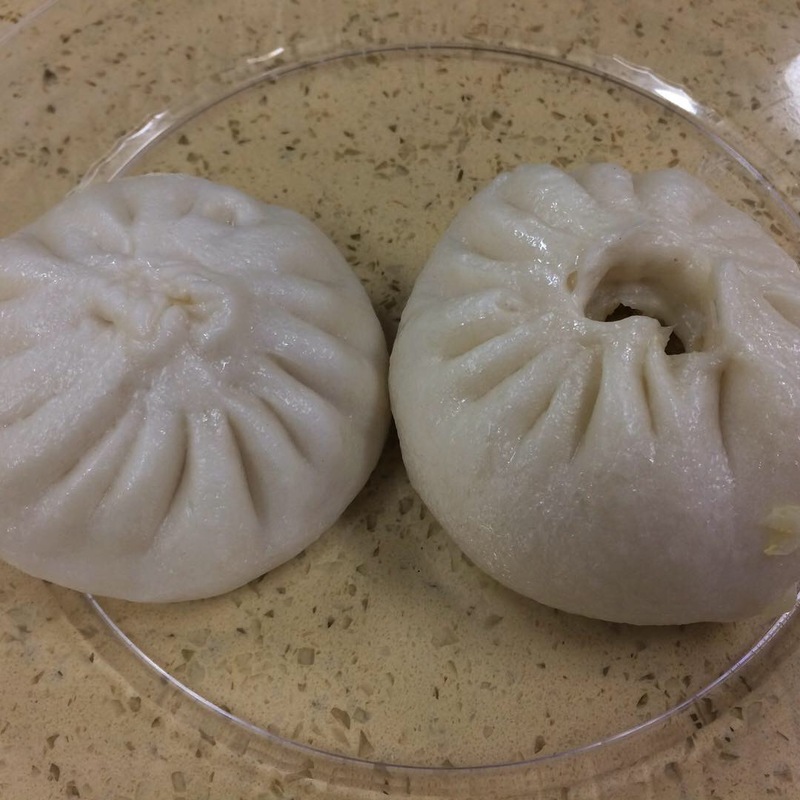 Quick bites from the opening of the new Super HK Food Court, 37-11 Main St, Flushing, in the basement of Super HK Supermarket. 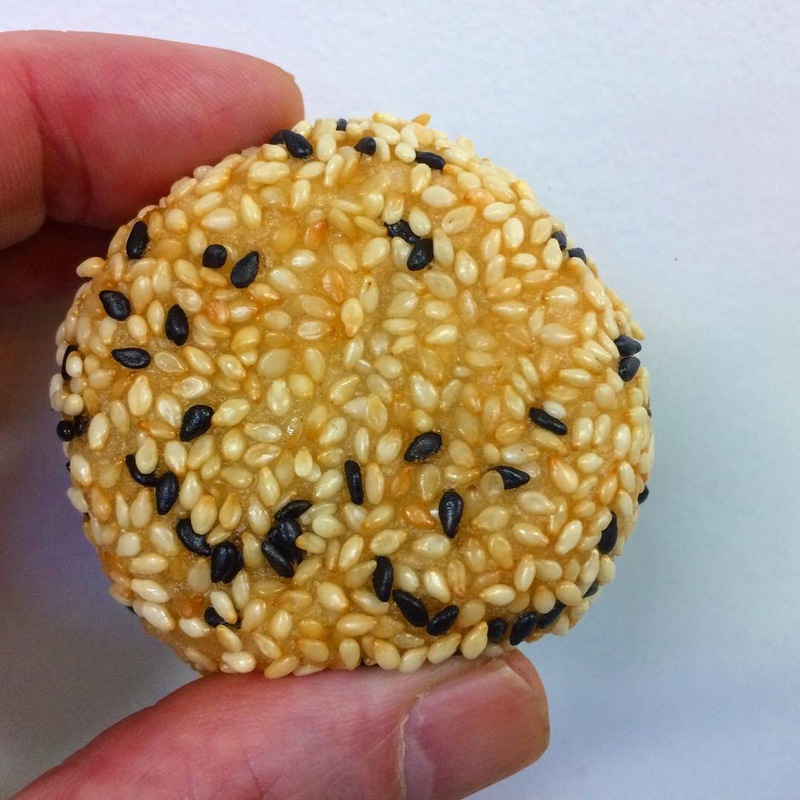 The Signature Sesame Ball with Red Bean Paste from Mom’s Kitchen, stall 18, was top notch. 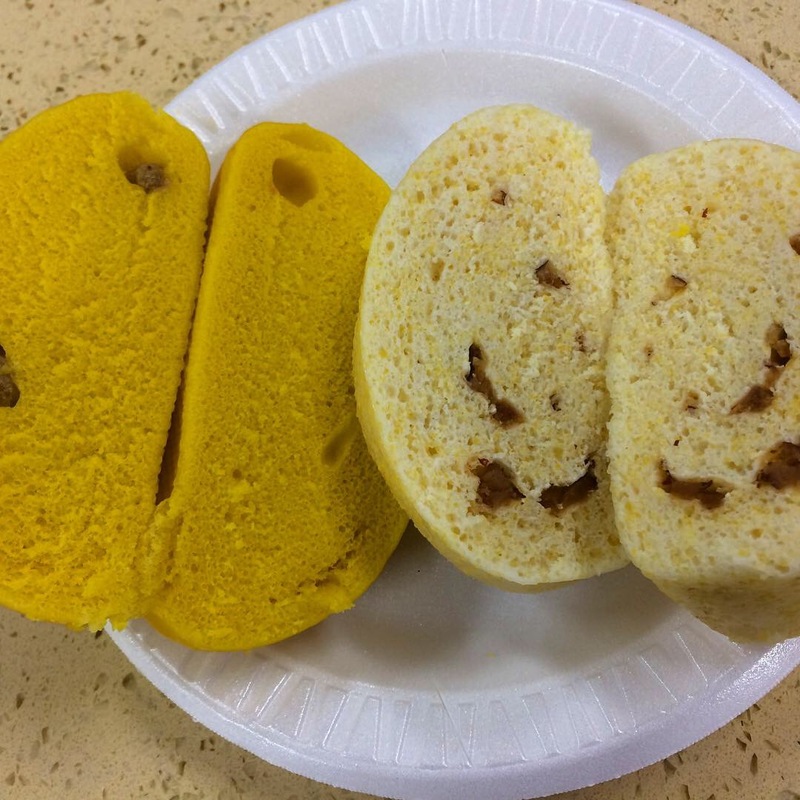 Steamed Pumpkin with Raisin bun (yellow) and Red Date bun (white) from New York Xiao Jiang Nan Bun, stall 12. 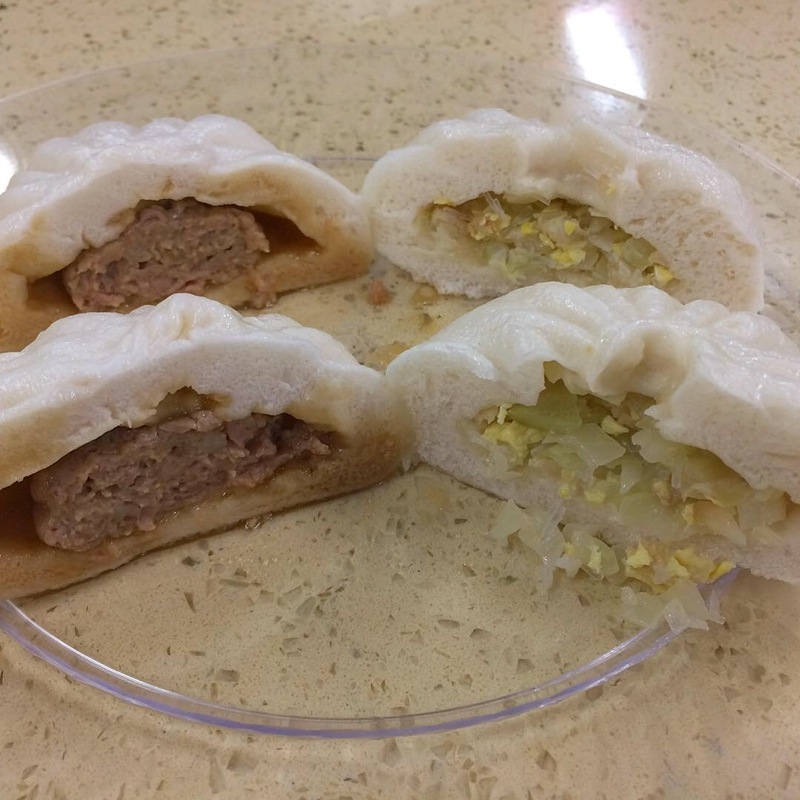 Pork bun from New York Xiao Jiang Nan Bun was good; its mate was a vegetable and egg bun (vented top). So much more to try; I’m going back soon!